Santos® Arm Force Field (AFF) available today | SantosHuman, Inc.
"Need a Hand? SantosHuman, Inc. Releases Cutting-Edge Arm Module." 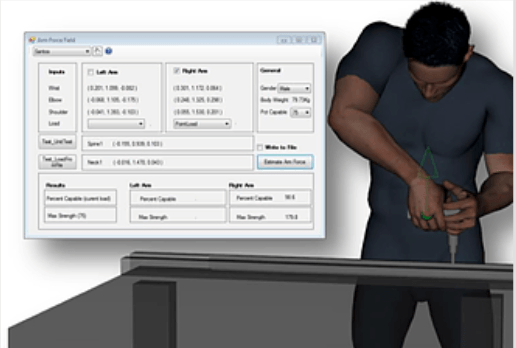 The Santos® Arm Force Field (AFF) plug-in module provides access to the most accurate method for predicting manual arm strength (MAS) available today.